Meant to post about this yesterday for ‘throwback thursday’, but time got away from me! I guess it still works as a “flashback friday”. Just wanted to share this really cool place worth checking out if you’re ever in London. It’s called the Cereal Killer Cafe and it’s pretty sweet (figuratively and literally). 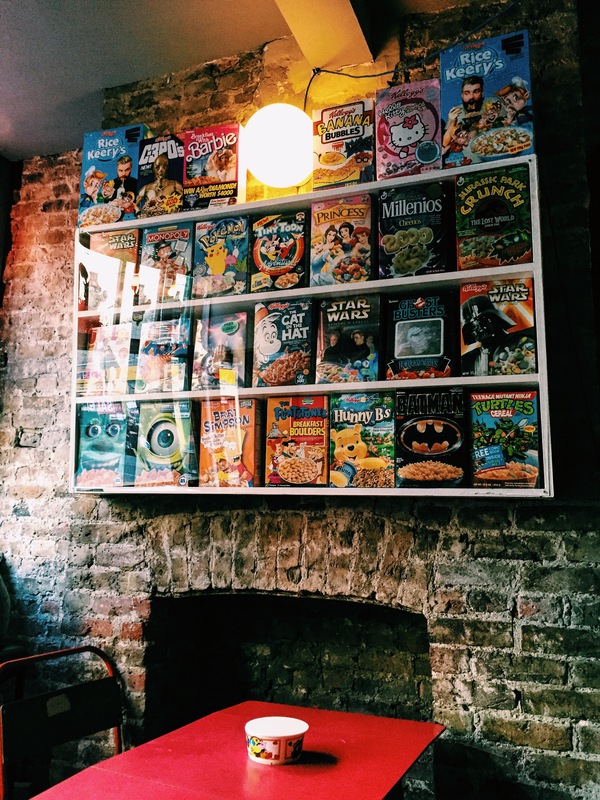 It’s a tiny little spot in Shoreditch and as implied by it’s name, it’s a cereal cafe. 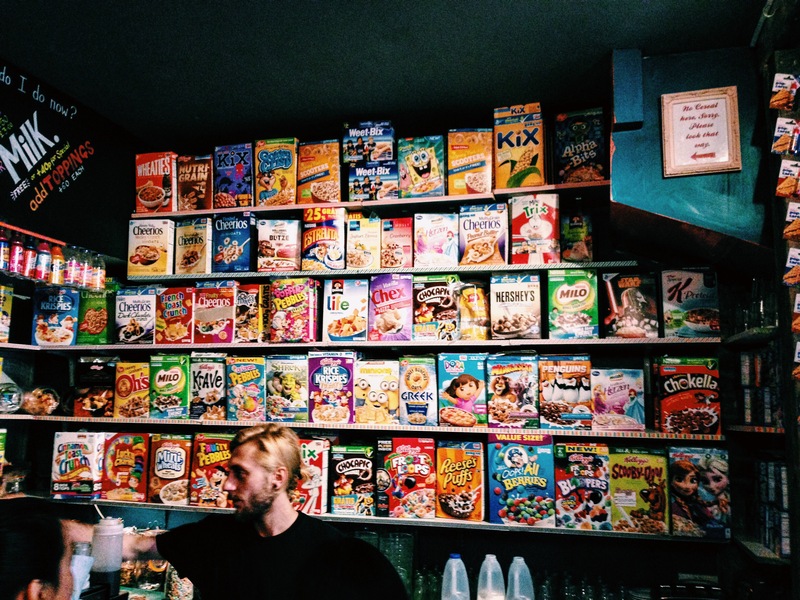 They have over 100 kinds of cereal, including cereals from all around the world. 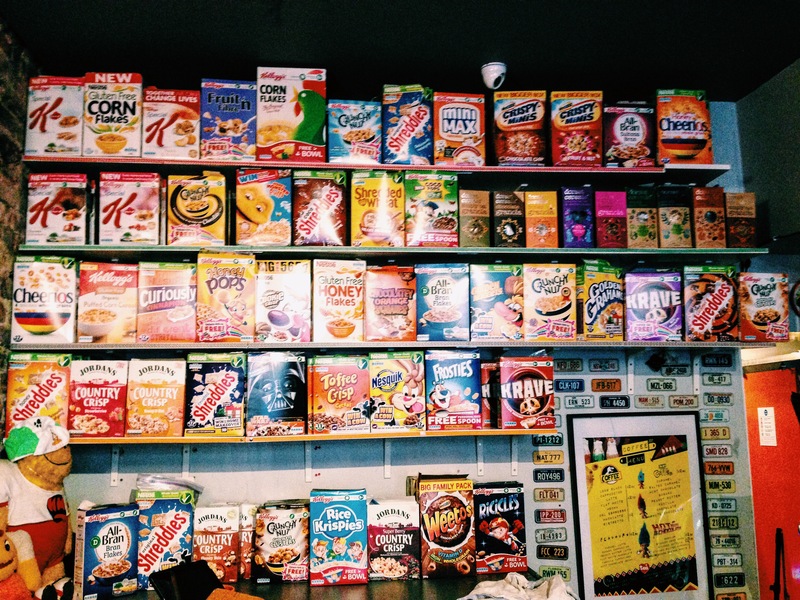 The colorful boxes decorate the walls inside the cafe and it’s pretty cool to see some throwback cereal boxes and boxes from other countries, like Australia among others. 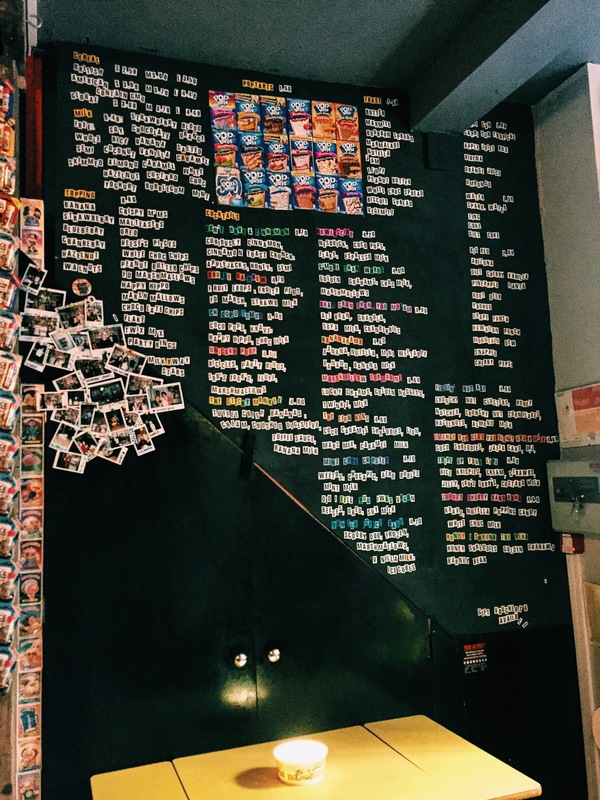 Here’s how it works: they have a menu with suggested cereal, milk and topping concoctions. You can also use your imagination and customize your own cereal bowl according to your own sweet tooth. It’s kind of dark and slightly murky, but I think that helps give it some character. 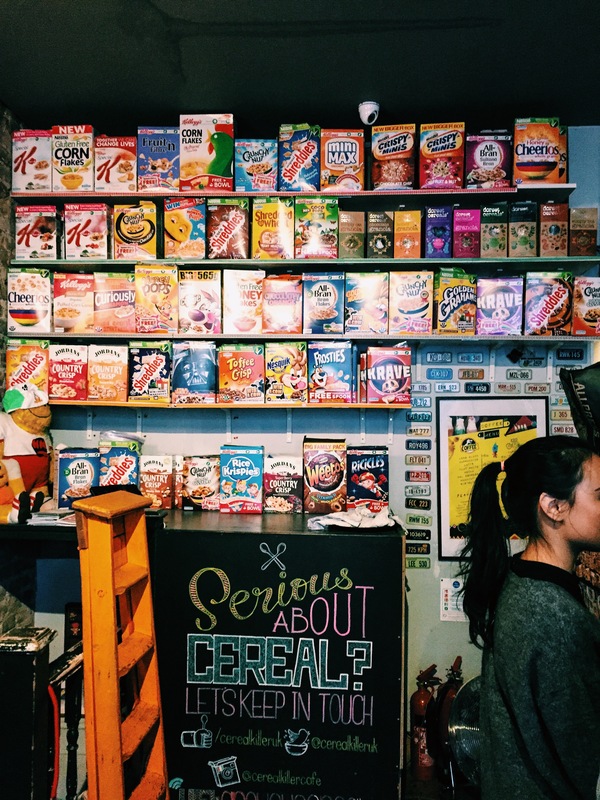 I should mention that the bowls of cereal are also pretty cheap, so visiting Cereal Killer Cafe is a great way to keep your wallet happy while exploring an up-and-coming neighborhood in Londontown. 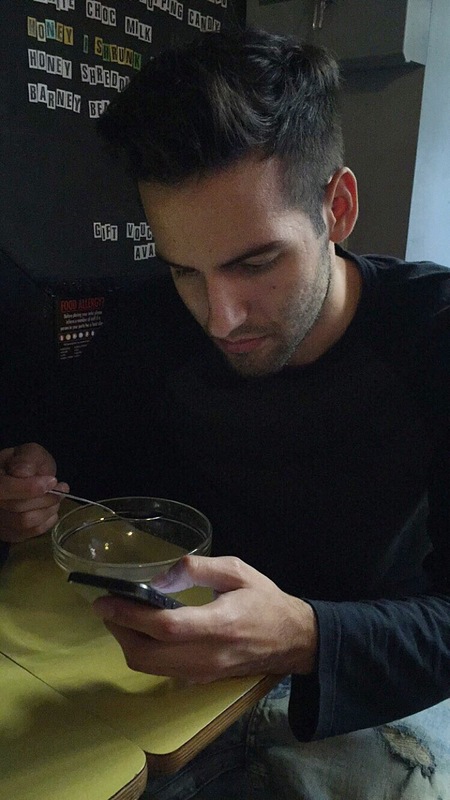 We visited the cafe at an interesting time. It was vandalized on the outside by people protesting the gentrification of the neighborhood the day before we went. While I don’t condone attacking a small thriving business, it was kind of a cool cultural experience to go when we did. 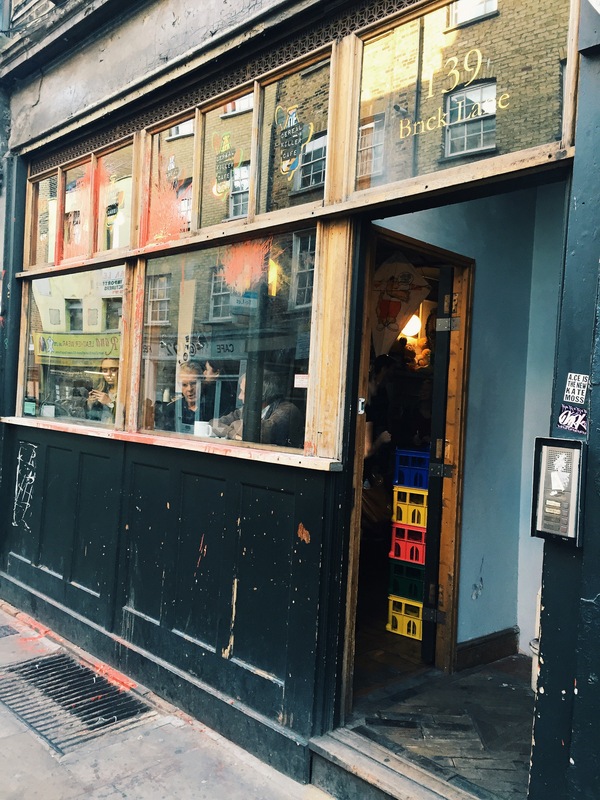 Posted in: Food + drink | Tagged: cafe, cereal, england, london, lunch, shoreditch, travel, u.k.